about this book: I write poetry and song lyrics for my own pleasure. The majority is rhyming pros and I write about life in general. These are some of my earlier works. I am still trying to decide if I should unleash any more onto an unsuspecting public, I probably will sometime. Why not spend five minutes a day over tea or coffee and read something funny, sad, or thought provoking. We all have that moment when we need cheering up.This book was put together one day when I was feeling down. I laughed a lot and hope it makes your day too. A collection of poems, song lyrics, anecdotes etc. Written from the heart and included is my award winning poem – ANGRY SILENCE. I have also had five Blues numbers recorded and I am still looking for a composer to work with. The right candidate must be mad and have a great sense of humour. I hope you enjoy. 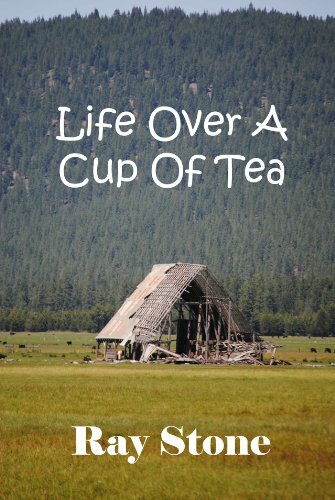 Everyone needs a good book of poetry to sit back and relax over a cup of tea or coffee and Raymond Stone's 'Life Over a Cup of Tea' will definitely satisfy all poetry lovers. The book provides us with delightful thoughts on life and shows us how simple and small things in our lives can provide us with inspiration. This collection artistically combines a great insight into life with a melancholic tone and you will wish to read every piece in the book more than once. Love, loss and how life goes on are the main themes of the poems. Neon City and Angry Silence are my favorites as these two pieces introduce us to different life experiences which might be unfamiliar to many. I recommend Stone's poems to all the musicians who are looking for insightful lyrics for their songs.